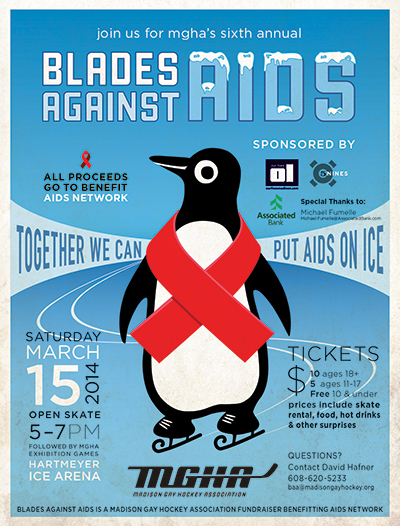 The Madison Gay Hockey Association is happy to announce the 6th annual Blades Against AIDS fundraiser for the AIDS Network. The MGHA’s open skate fundraiser will help to raise awareness regarding HIV and its effects on the LGBTQ community. All proceeds benefit AIDS Network. Raffle Prizes: Coming soon! Contact us if you’d like to donate to the raffle.